S.A. Porcelli, The CD1 Family: A Third Lineage of Antigen-Presenting Molecules. P.J. Fink and M.J. Bevan, Positive Selection of Thymocytes. P. Sideras and C.I.E. Smith, Molecular and Cellular Aspects of X-Linked Agammaglobulinemia. K. Sugamura, H. Asao, M. Kondo, N. Tanaka, N. Ishii, M. Nakamura, and T. Takeshita, The Common gamma-Chain for Multiple Cytokine Receptors. C.C. Goodnow, J.G. Cyster, S.B. Hartley, S.E. Bell, M.P. Cooke, J.I. Healy, S. Akkaraju, J.C. Rathmell, S.L. Pogue, and K.P. Shokat, Self-Tolerance Checkpoints in B Lymphocyte Development. M.F. Lipscomb, D.E. Rice, C.R. Lyons, M.R. Schuyler, and D. Wilkes, The Regulation of Pulmonary Immunity. Chapter References. Subject Index. Contents of Recent Volumes. With contributions from Steven A. Porcelli and other internationally recognized leaders in the field, this volume continues the tradition of indispensable reviews. 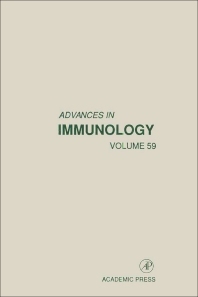 Papers on the CD1 family, positive selection of thymocytes, and molecular and cellular aspects of XLA highlight the latest volume. Researchers in immunology, cell and molecular biology, and developmental biology. Graduate students in immunology; pharmaceutical industries; clinicians.